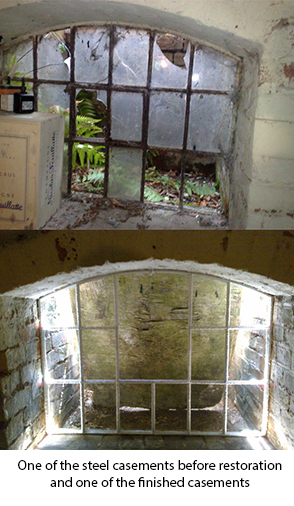 This is a selection of steel casements that have been restored by us. 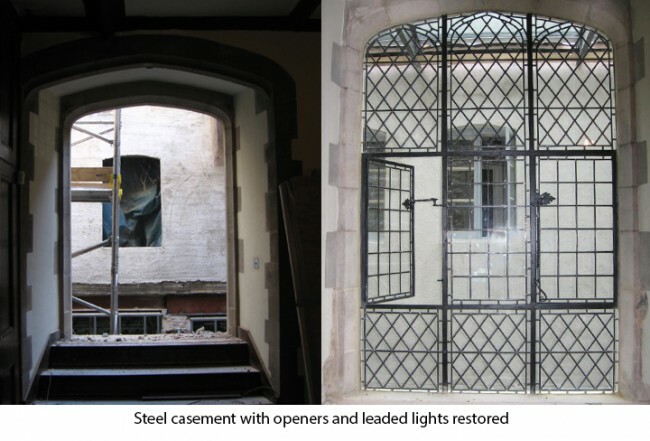 It is not uncommon to have a stained glass window or leaded light in a steel casement and it makes sense for us to restore these as well as the glass whilst the window is out. 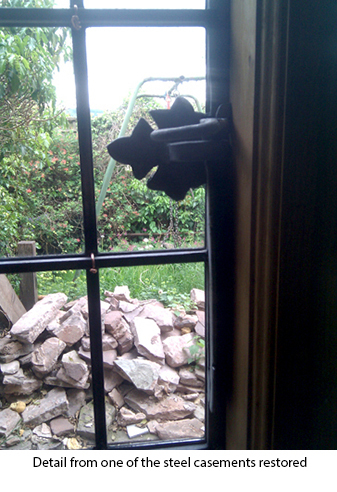 We repair casements and replace and/or reproduce missing ironmongery. 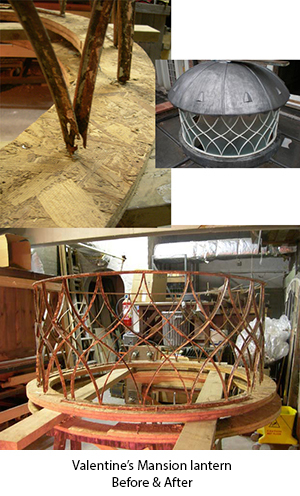 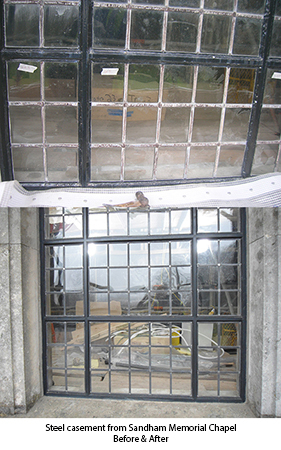 Generally frames are sandblasted before being repaired, galvanised and finished. 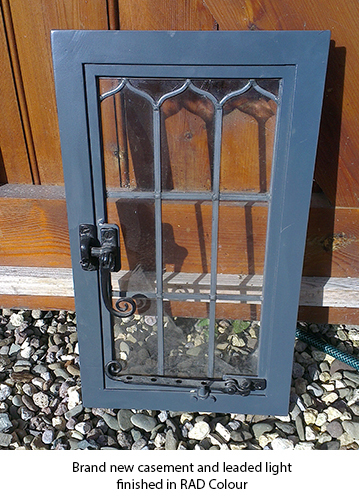 We also produce new Steel and Iron Frames in various styles.